This course provides all necessary training qualifications for a Utah Concealed Firearm Permit. 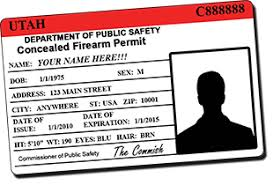 The Utah Concealed Firearms Permit is recognized in over 35 states (not including Maryland). We will discuss concealed carry ammunition, different types of concealed carry firearms and holsters, Utah legal instruction, reciprocity, legal firearm transport, and criminal & civil liability. The course includes basic handgun training, simulation lab training, and a live fire exercise. Fingerprint card, passport photograph, and finished application will be ready for submission at the completion of this course. NOTE: THIS COURSE IS CURRENTLY ONLY AVAILABLE TO MARYLAND RESIDENTS WITH A VALID DRIVER’S LICENSE.